You may be among the thousands of small businesses and sole traders who have filed your tax return well ahead of the 31st January deadline, but do you know when your payments are due? There is more to paying HM Revenue & Customs (HMRC) than arranging a bank transfer. You should make sure you’re clear on what’s due when - and in this article, we’ll also explain why. If you are self-employed or have income that is not taxed before you receive it, such as rental income, you may have a tax bill to pay. 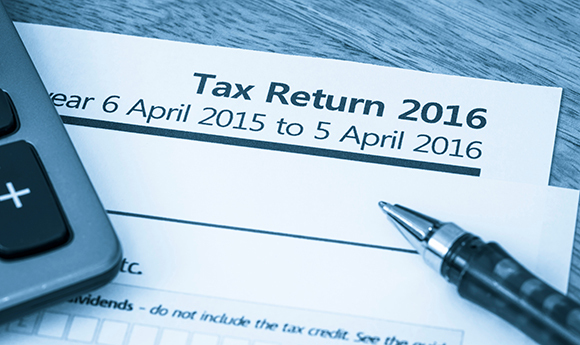 The tax year runs from 6th April to the following 5th April and any tax to be paid is due by 31st January following the relevant tax year. For example, for the tax year 6th April 2015 to 5th April 2016 (i.e. 2015/16) any tax to be paid would be due by 31st January 2017. We are here to help you - call 0800 0523 555 or contact us online here to book a free appointment with your local TaxAssist Accountant. ‘Payments on account’ are advance payments towards the tax bill you will owe for the next tax year. You need to make a payment on account if your tax bill is more than £1,000, unless you have already had more than 80% of it collected at source. You might have paid this through your PAYE tax code or it might have been deducted from any additional income you have, e.g. the interest on your savings. If the payments on account you’ve made are higher than your tax bill, HM Revenue & Customs (HMRC) will refund the difference. If you are required to make payments on account, budgeting for your tax bill can be even more important. In the first year that payments on account arise, they effectively accelerate your tax payments. The result is that in your first January, you could be faced with paying 150% of your tax bill; albeit that 50% of it is an advance payment for next year. Each payment on account is half of your previous year’s tax bill. These payments are due on 31st January and 31st July. The system of payments on account is best suited for taxpayers who do not experience significant fluctuations in their taxable income, because they are based on your income from the previous year. However, if your business profits or taxable income is down, you can ask HMRC to reduce your payments on account if you think your tax bill is going to be lower than last year. Be careful not to reduce them too far though – HMRC can charge you interest and penalties if you end up paying too little. If you still have tax to pay after you’ve made your payments on account, this is called a ‘balancing payment’. You must pay your balance by midnight on 31st January after the end of the tax year. How much should I budget for my tax bill? As a rough guide, we would generally recommend that you put aside a quarter of your profits for your tax bill. If you're a higher rate taxpayer (your profits or income are more than c. £40,000), then it may be preferable to increase the amount you put aside to a third. We've done some rough calculations of how much someone that is self-employed might want to put aside each month (we've based them on 2016/17 rates and bands). These figures will not be perfect for everyone’s individual circumstances but they will give you a ballpark figure and should help you avoid any nasty surprises when it comes to paying your tax bill. In the 2015 Summer Budget, it was announced that from April 2016 the dividend tax credit would be replaced by a Dividend Tax Allowance of £5,000. Dividend income over the Allowance is liable for tax at the basic rate of 7.5%, 32.5% for the higher rate and 38.1% for the additional rate. Historically, director-shareholders tended to draw dividends right up to where higher rate tax applies – and thanks to the tax credit, they paid little-to-no income tax or National Insurance on their dividends assuming they had no other income (the company would be paying Corporation Tax though). However, under new rules, they could face a tax bill of around £2,200. Having never previously paid tax before, this may come as a surprise to director-shareholders. And without taking action, the situation could be exacerbated by payments on accounts due to the tax bill being more than £1,000. If you still haven’t completed your tax return or would like to discuss your tax affairs in more detail, please do not hesitate to contact us on 0800 0523 555 or submit your enquiry online here. Your local TaxAssist Accountant would also be happy to complete your tax return for you, which gives you more foresight and certainty and, therefore, avoids any last-minute panics.